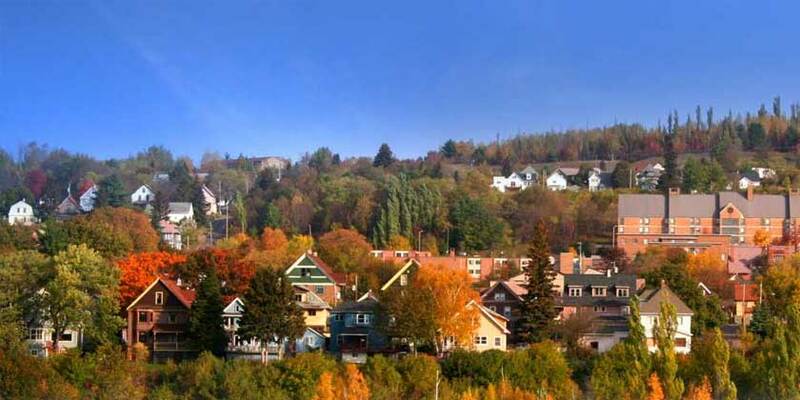 Located on either side of the Portage Lake Canal on the Keeweenaw Peninsula, Houghton and Hancock enjoy beautiful mild summers and wonder snowy winters that make Michigan’s northernmost point a four season wonderland. Surrounded by rivers, lakes, and the majestic Lake Superior, the Keeweenaw Peninsula is a magnet for outdoor enthusiasts of all stripes. Visit Keeweenaw National Historic Park to learn about the region’s 7,000 year history of copper mining.